In reality, almost every design style that’s popular today is really just a mix, or an evolution, of something that came before, so incorporating elements of more than one design style into a room is really not that difficult. This is otherwise known as eclectic design or can also be the popular transitional design style when using neutrals and minimal accents. Maybe you’ve got an antique piece of furniture that you consider a family heirloom, but your taste is rather contemporary, or perhaps you have a different style than that of your significant other. It doesn’t matter, you can still arrive at a balanced design that will meet your needs. So how do you go about bringing together these seemingly varying elements into a cohesive design? Keep in mind that your overall goal is to create a space is viewed and understood holistically, rather than looking each individual piece. So shift your focus to the bigger picture. You can do this with several design tricks. Using a pattern as a motif throughout your space can unify all of the design elements. It doesn’t just have to be a pattern, either. You can also repeat a shape. One of the more popular design trends at the moment is geometric patterns, not just in print, but also built into the shape of tables, legs, lamps, mirrors and sculptures. Keeping the color palette simple can prevent the room from looking scattered. Colors don’t only have to be used with fabrics and accessories, however. You can also choose cabinetry and other furniture items such as desks and entertainment centers that incorporate one of your chosen colors. 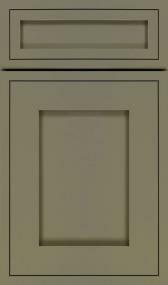 Cabinets are available in a wide variety of colors today and are being customized for other areas of the house - not just the kitchen. Even though you may be going with a more traditional look in furniture, but a more contemporary floor, you can create consistency by choosing a wood floor finish that matches your furnishings, or, if you’re working with a kitchen, choose one that goes well with your cabinets. Specific design themes can also bring a room together. Coastal designs that have nautical elements, bohemian themes and other similar designs often leave a lot of room for an eclectic mix of items. As long as you’re able to keep your focus on the overall look rather than the individual pieces in the room, you can easily create a nice mix of design styles. 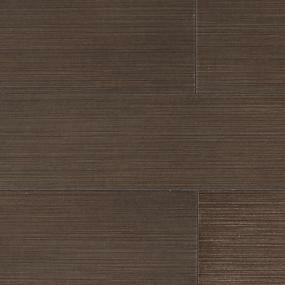 Review inspiration and the online catalog of flooring, kitchen and bath products. Find the look you desire, and add the images to the myProSource Project Center. 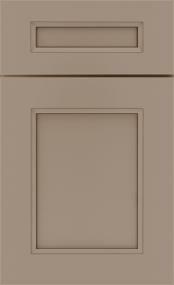 ProSource Showrooms provide a wide array of samples from which to choose. Plus, our expert staff and network of trade professionals can help you bring it all together. Schedule an appointment to visit your local showroom with your contractor today.